Argos gives its name to the whole Argolis region and is the most populated city of the Argolida. 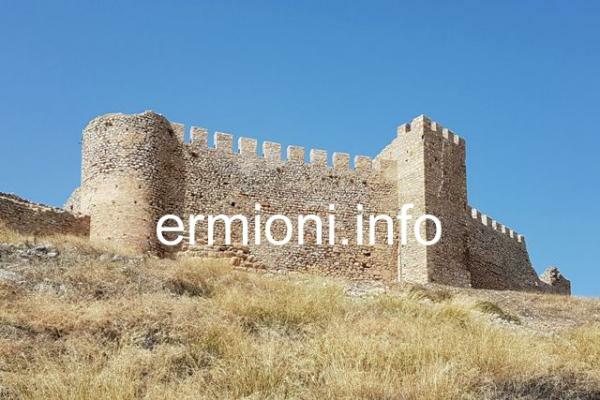 It is a characteristic big Greek city, located 12 kms North of Nafplio, on the main road that takes you past the Mycenaean citadel of Tiryns. As Argos is one of the oldest cities of Greece, there is a long historic background. The first findings of human inhabitation in the area are dated approximately by the end of the third millennium BC. Inachon, was the mythical hero and founder, and the first king of the city. A later king re-named the city after himself. The city of Argos is famous for its Castle of Larissa (pictured left) the ancient Roman Agora and large Hellenistic theatre. The theatre was constructed in the 3rd Century BC with a capacity of 20,000 seats, it is one of the biggest theatres in Greece, far larger than Epidavros. Close by, one can also find the Roman baths and the Nymphaeum. The Archaeological Museum of Argos is one place you should visit when exploring the city. In 1957 the doors were open to the public exhibiting various findings not only from the city of Argos, but from the surrounding areas as well. Certain findings are dated from the prehistoric years through to the late Roman period. Argos was excavated principally by the French School of Archaeology, with excavations still ongoing. Many of the exhibits are on display at the museum, with information and descriptions in Greek and French. The museum is located close to the Metropolis Cathedral of Saint Peter in the central city square. The Archaeological Museum is open daily 08:00 - 15:00. Closed on Mondays. Admission: 2 Euros. Presently closed for redevelopment. 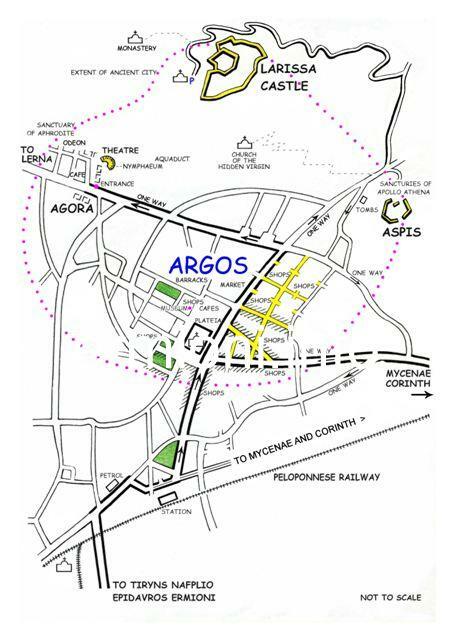 Argos of today has been built in a giant oval shape and has plenty of traditional and modern shops, from quaint haberdashery shops to the latest fashion boutiques. In the city's central plateia square, is the large Metropolis Cathedral of Saint Peter, surrounded by many cafes, kiosks, bistro's and bars. Close by is the recently renovated Archaeological Museum of Argos and the Barracks of Kapodistrias, originally built in the 1690's. Opposite the barracks there is a very large market place, with a colourful outdoor market held every week on Wednesdays and Saturdays only. The original 19th Century Meat and Fish Market building (pictured right) was constructed in 1889, is located at the opposite end of the market place. The whole market place area was redeveloped in 2017 and is now mostly pedestrianised. Around the area of Saint Peter's cathedral, there are many streets and pedestrian avenues where you can shop to your hearts content, then later relax in the numerous cafes located around the main square, along the avenues and most street corners. If you wanted to extend your stay in Argos, there are many hotels that surround Saint Peter's Square, which is set in the heart of the city. Approaching Argos from Nafplio and Tiryns, you arrive and cross the Peloponnese Railway track, and turn right at the T-junction towards Argos. Immediately after this junction, you can turn left and head directly towards the Ancient Agora archaeological site, however, if you want to get to the city centre, then continue straight and follow the one-way system. After passing the Argos railway station on your right, turn left at the 'City Centre' signpost and continue straight on until you reach Saint Peter's main square*. 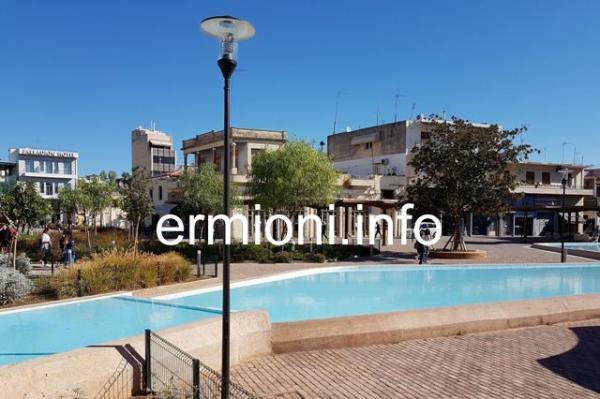 If you wish to visit the Castle of Larissa or the Aspis, then continue straight on and pass the main square and market place until you reach a 3-way junction. At this junction, on the left there is a small road leading to the Panaghia church. Turn right for the Aspis archaeological site. A little further on, turn left for access on a small winding road leading up to the Castle of Larissa. Parking in the centre of Argos can be a little difficult, as most of the original streets are narrow, with parking allowed on one side of the street only. However, there are a number of paying car-parks within the centre, and free street parking if you are prepared to park your vehicle just outside the city centre and walk a few minutes. Whatever you choose, you'll have plenty to see and explore. *Please note: The main square of St Peter's has been redeveloped recently, together with the main open-market square, with most public areas within the centre now been pedestrianised. All motorised transport is now re-routed on a one-way system around the outer perimiter of the city centre. The Argos Archaeological Museum is presently closed, undergoing internal redevelopment.